Mauméjean stained glass, Julio Romero frescoes, and pink sculptures of alien monkeys all thrown together with undeniable style. 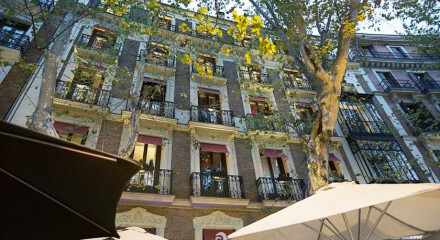 Palatial suites overlooking Retiro Park, parquet flooring, huge beds, pampering spa, and unbeatable service- a spoiling treat! 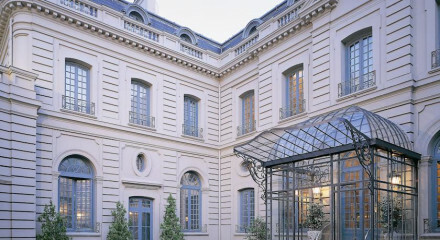 Within the goldern triangle, the Palacio is just steps from the Thyssen, the Prado and the Reina Sofia museums. Indulge yourself after a long days sight seeing with body wraps, massages and beauty treatments at the world class spa. The Suite Bar serves phenomanal tapas alongside their famed cocktails, the perfect start to your evening. 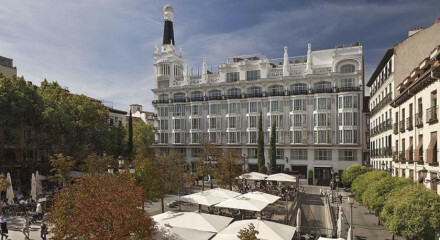 Head out of this central hotel and you'll immediately hit the lovely Retiro Park, perfect for a morning stroll. 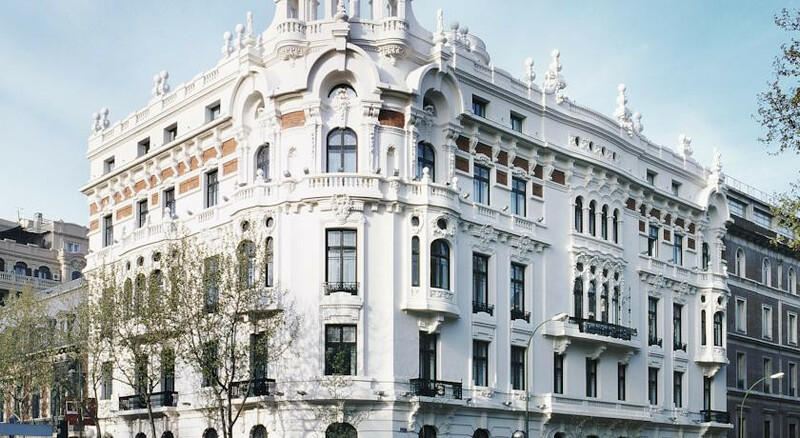 The Gran Vía offers everything from designer boutiques of Calle Serrano, to the food halls of El Corte Ingles. The Neo-classical monument Puerta de Alcalá is in close proximity.